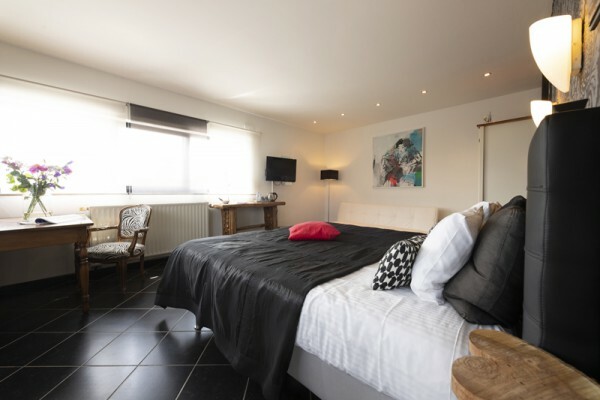 Splendid guestrooms for rent in a beautiful and rural area, just 4 km from maastricht. Near to several cycling- and hiking trails. Ideal starting point for several activities! Our doubleroom (42 m2) ‘Montenaken’, located at the south-side of the house, is equipped with all modern convenicences, a sitting areawith TV, dvd/cd-player and the facilities for making both tea and coffee. It has a large bathroom with walk-in shower, a large bath, a double washstand and toilet. 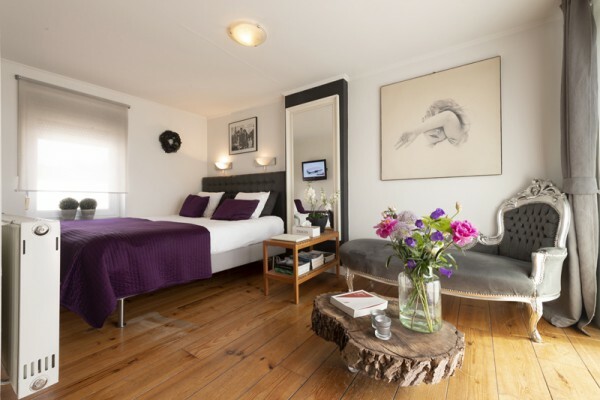 Our doubleroom (25m2) Vroenhof, backing on the roof-terrace is also equipped with all modern conveniences, a sitting area with TV/DVD-player and the facilities for making both tea and coffee. Our doubleroom (18m2) Heukelom, is equipped with all modern conveniences, a sitting area with TV/DVD-player and the facilities for making both tea and coffee. A small bathroom with shower and washstand. The private toilet is downstairs in the hall-way. The guests are free to use the terraces in the garden on a nice summerday/evening! Suite Montenaken € 99,00 per night. 'Room Vroenhof' € 95,00 per night. 'Room Kanne' € 87,50 per night. 'Basic Room Heukelom' € 72,50 per night. Each morning you can enjoy our famous breakfast with fresh orange-jus, fresh sandwiches, fresh croissants, cinnamon bread, boiled (free range chicken) eggs et cetera! We do not have a restaurant but there are several options at walking distance from the hotel (greek, a la carte, chinese, kebab etc). 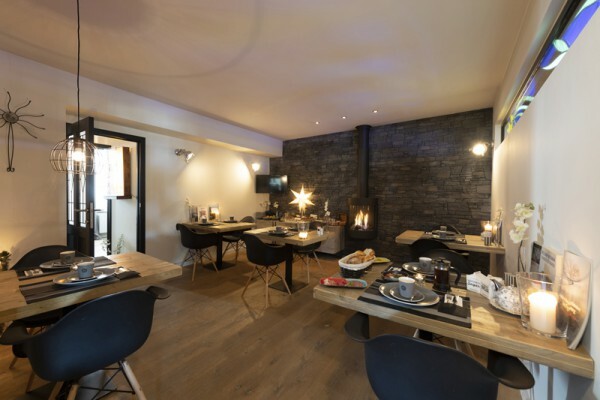 Did you stay in Bed & Breakfast Im's & Wim's Vroenhoven/Maastricht? Let us know what you thought about it and help others to make the right choice! * I confirm having stayed in Bed & Breakfast Im's & Wim's Vroenhoven/Maastricht. Find other bed & breakfasts in Vroenhoven, all bed & breakfasts in Haspengouw or all bed & breakfasts in Limburg (Belgium).